This is contained in a statement by Charles Dafe, Director of Information in the ministry, made available to the News Agency of Nigeria (NAN) in Abuja. 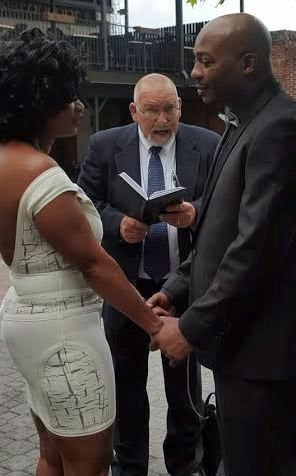 The girlfriend of the man above decided to do the unusual on her man's birthday. She sent in pounded yam and vegetable soup wrapped as a gift to his office...How Sweet. Bodies of Nigerian soldiers killed on April 18 in a Boko Haram ambush in Gubio, Borno state, are yet to be retrieved, a soldier on the war front has told TheCable. 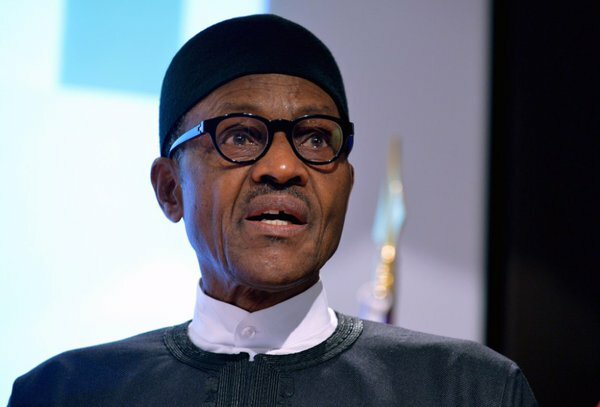 The soldier said Gubio, a local government, is the “nemesis” of Nigerian troops as the insurgents are still fully in control, despite the successes recorded since President Muhammadu Buhari came to power. He said only 15 bodies of the slain soldiers were recovered, with the actual figures of the casualties yet to be made public. Sometimes in the studio, one of the things that Don Jazzy and some of my other label mates say is that I am really good with interviews, with being diplomatic and knowing how to carry myself with difficult situations. This hurts. I have seen comments of what people are saying about me. It is not true." The Director General of NYSC, Brig-Gen. Sule Kazaure, made this known Thursday while flagging-off the NYSC intervention programme at Damare IDPs camp in Yola. 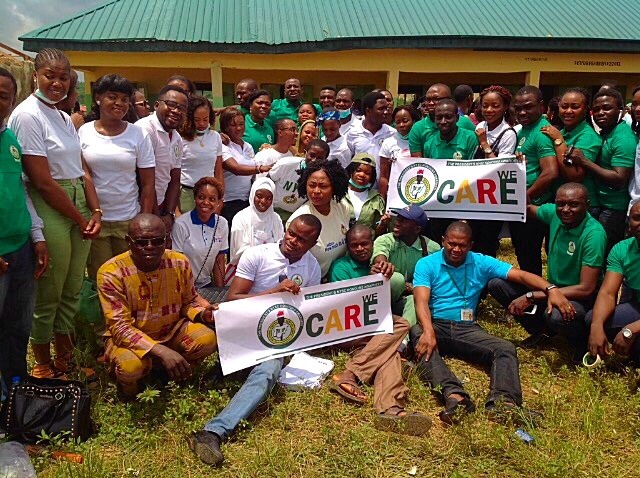 Kazaure said that the deployment of NYSC to the camps was part of the scheme’s contribution to government’s efforts in assisting the IDPs. Governor Abiola Ajimobi, his wife Mrs Florence Ajimobi, Edo First Lady -Iara Oshiomhole, Wife of Nassarawa State Governor -Mrs. Mero Al-makura, Olubadan of Ibadanland,Oba Saliu Adetunji and others joined Nigeria's First Lady -Mrs Aisha Buhari to launch the free health screening under the Future Assured Initiative -today in Ibadan, Oyo state. 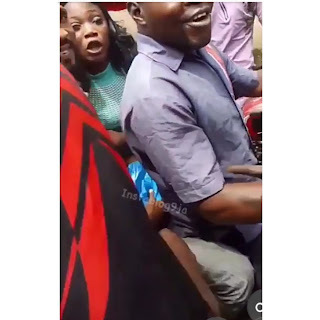 There was drama in Osogbo yesterday when Policemen arrested actress Mercy Aigbe. She has opened up as regards why she was arrested. The parents of the leader of the Indigenous People of Biafra (IPOB), Nnamdi Kanu -joined crowd of protesters in Belgium to voice their disappointment with the Federal Government over the continuous detention of the Radio Biafra boss. 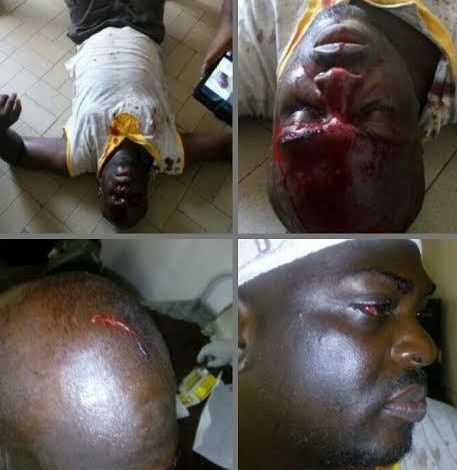 According to reports, Babajide Sipe,a lawyer was allegedly beaten and brutalized by soldiers in Festac town yesterday April 26th. 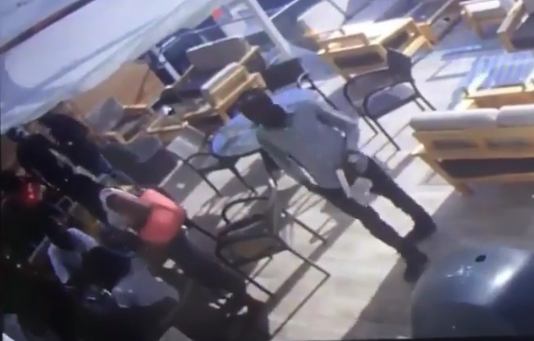 Barrister Sipe was reportedly victimized by 4 military officers because he appealed to them to move a vehicle they parked, a little off the road so as to alleviate building traffic off 402 junction in Festac Town, Lagos. He was allegedly battered blue and black and stabbed twice on the head and back. His car was shot at twice as he drove off in a bid to avoid creating a scene. News of Lil Kesh’s exit from Olamide’s YBNL record has gone viral. The young rapper is leaving the label to float his own YAGI records. While many wish both Lil Kesh and Olamide the best in their field, some feel Lil Kesh is too young to start his own thing. There is confusion in Enugu State following reports that Fulani herdsmen have launched a fresh attack in Umuchigbo, another community in the State. Umuchigbo is in Enugu East Council Area of the State. Pro-Saraki group clashed with members of the Occupy National Assembly Protesters who are calling for the resignation of the Senate president. Both groups met at the entrance of the National Assembly and they began arguing over who should stay at the entrance and who should leave. Former Nigeria President Goodluck Jonathan, who has been in the United States since last week, canceled a scheduled keynote speech at the Africa Peace Awards Dinner organized bythe Center for African Peace and Conflict Resolution at the California State University, Sacramento in order to avoid embarrassment, SaharaReporters has learned. The authorities of the Lagos State University (LASU) have wielded the dismissal stick on 19 of its staff, following the alleged falsification of the West African Examinations Council (WAEC) O’ level results which they used in gaining employment in the institution. 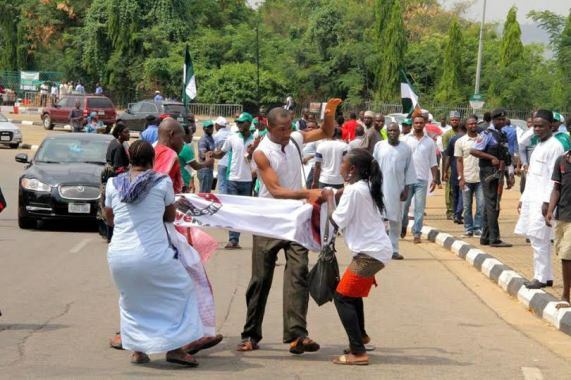 Today, about bout 40 persons have so far been reportedly killed by some Fulani herdsmen at Nimbo in Uzo- Uwani Local Government Area of Enugu State, sources told Vanguard at Nsukka Police Area Command, near the area yesterday. 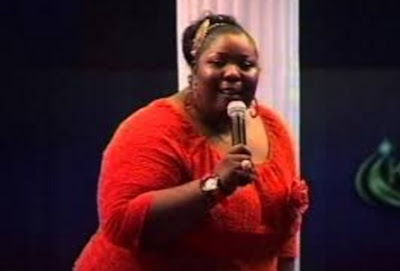 Media personality, Latasha Ngwube, shared a short clip from CCTV showing a bow-leg man stealing her phones from her bag at a party in Lagos over the weekend. The man has also been accused of stealing twitter user, @TifeSoloye's Mac pro over the weekend. Oscar-Winning actress Lupita Nyong’o shared a video on her Instagram page dancing to YBNL artist Lil Kesh’s “Efejoku” with other stars on Eclipse. Watch above. Bola Tinubu's son, Seyi popped the big question to Layal in November 2015 moment in far away Ghana. The lovely couple have just released a couple of their gorgeous pre-wedding pictures as everything is being put in place towards the big day. There are strong indications of palpable tension in Ukpabi Nimbo community in Uzo-Uwani Local Government Area, Enugu State, following an alleged attempt by Fulani herdsmen to invade the community. It was gathered that the cattle rustlers, numbering about 500, allegedly gathered at Ukpabi Nimbo community in the area to launch an attack and displace residents for cattle-grazing. The founder of Omega Fire Ministries International, Apostle Suleman Johnson, has shared some prophecies for Nigeria during an exclusive interview with Tribune Nigerian. Speaking during the interview which was published yesterday by the online media house, the Apostle warned that three popular musicians will die as he also averred that he sees a governor dying this year. Mercy Aigbe attended a wedding yesterday in a show stopping admiral blue mermaid. She finished off her look with a two tone embellished purse and red fascinator. Her cute date, her son Juwon also looked dapper in his ensemble. The Poor State Of UNIABUJA Hostels – The poor, decrepit state of the hostels of the University of Abuja have recently been revealed in a new report. The report, made by Abuja-based blog gwagwaladagist.com, showed the sorry state of toilets and bathrooms in the university’s male hostel. 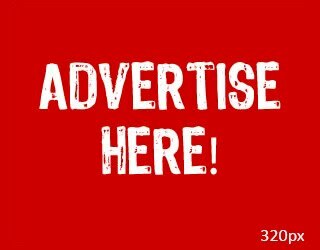 A 400 Level student, who did not want his name disclosed said that it is better to defecate in the bushes than using the toilets in the hostel. According to him, the toilets are always messed up, with tissues and some other harder papers are sometimes discarded inside the toilets. Zoro has been making waves with his “Ogene” rap anthem, enthused with traditional Igbo musical instruments; in collaboration new-school highlife King, Flavour. Shot in Enugu and directed by Clarence Peters, the video accompanying the single exudes colour, tradition, energy and hype! Fashion blogger Ella Adenugba, who became an internet sensation after she bared her peculiar two-tone pregnancy bump in a pregnancy shoot, has been delivered of a bouncing baby boy. And the beautiful thing is she gave birth on her wedding anniversary. The Lagos Police command through its PRO, Dolapo Badmos, has explained how the recent fight between pop star Wizkid and blogger, Linda Ikeji was resolved. Linda Ikeji had reported a case of ‘threat to her life’ by Wizkid to the police commissioner, Fatai Owoseni following his statement on social media that he’ll send his 16 year old cousin to beat her up. This morning around 6am the gallant CJTF have refail another suicide bomber trying to attack mulai umrari village of Jere LGA borno state. 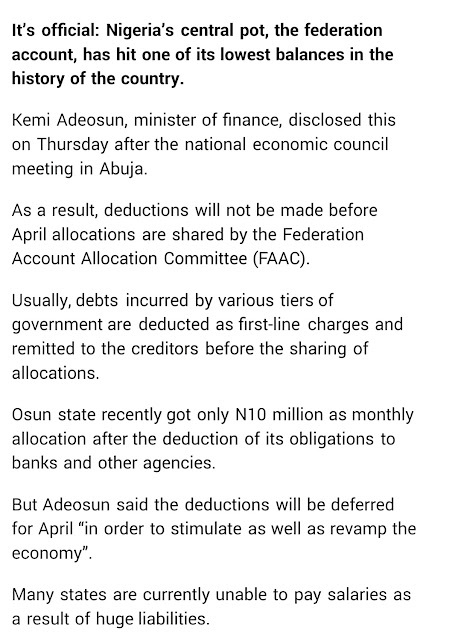 Former Aviation Minister Femi Fani-Kayode will have to live without one of his accounts for now. The account has been frozen by the Economic and Financial Crimes Commission (EFCC) as it steps up investigation into the alleged N4billion campaign bazaar cash received from ex-President Goodluck Jonathan in the build-up to the 2015 elections. 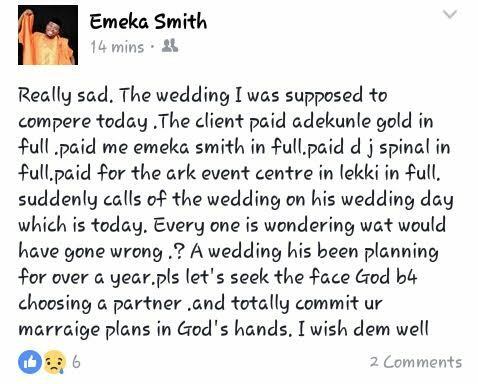 This was shared on Facebook by Comedian Emeka Smith who should have anchored the wedding today. We noticed you have shed more weight again, what inspired the desire? The music icon who passed away yesterday aged 57 made this mansion his home for many years. The mansion in Paisley Park, Minnesota, is built more like a factory than a home, there's not much to its exterior tho, its beauty lies on the inside. It has a ten man wardrobe, a relaxation room, a huge recording studio, and an extravagantly appointed lobby amongst other luxuries. The Oyo state police command has arrested 60-year-old Asabi Adebayo pictured above, for allegedly buying five babies (two boys and three girls) ranging from 2 years, eight months, seven months, six months and four months, at N5 million from Port-Harcourt, Rivers State. 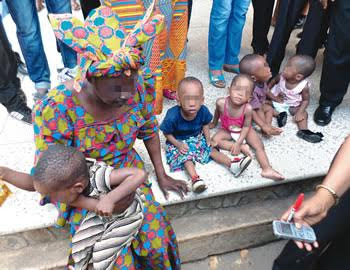 According to Tribune, Asabi who is a US-returnee, was arrested at an orphanage in Oyo where she had gone to obtain a certified police report to put the babies up for adoption. 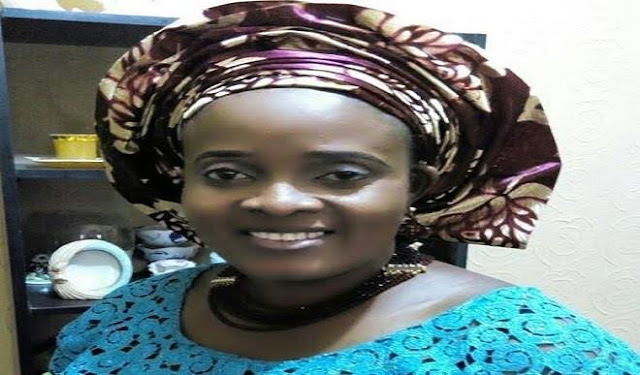 The Permanent Secretary of the Osun State Ministry of Finance, Budget and Economic Planning, Adebimpe Ogunlumade was kidnapped by gunmen‎n while returning to Osogbo from Abuja today April 22nd. 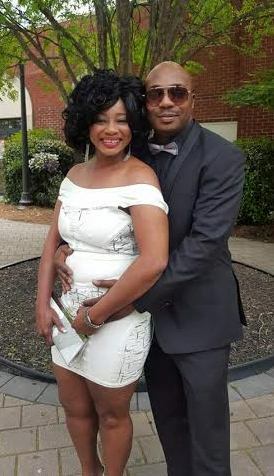 According to a statement released by the state's Head of Service, Sunday Olayinka Owoeye, Ogunlumade was kidnapped along with her driver, Oladapo Arogundade Ajani and a Director from the ministry, Tajudeen Badejoko. The beautiful women looked so hot in a new selfie they posted on their pages. Their husbands are comedian and they are mother of two. Federation Account Hits Rock Bottom? 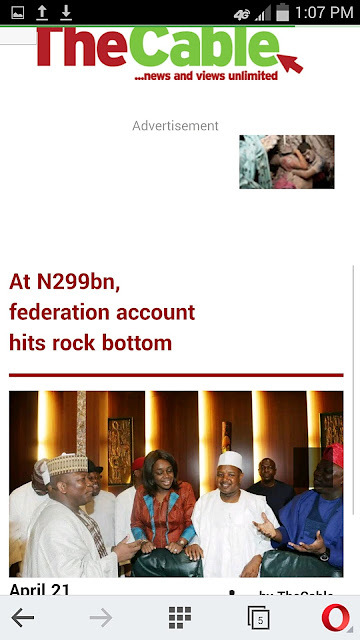 N299 Billion is Rock bottom? And they still bought SUVs recently? New reports have emerged as regards the new strategy used by Boko Haram. The Commander of a multinational force fighting the Islamist insurgents, Maj.-Gen. Lamidi Adeosun, has said that Boko Haram is strapping bombs to birds as it continues to develop more deadly weapons for its bloody attacks. Blac Chyna's Mum Says Her Daughter Relationship With Rob Is Only For TV? Blac Chyna's mum, Tokyo Toni posted the message on popular message board, Lipstick Alley. "I love Robert Kardashian and I love Blac Chyna. . . but it's not real like that if you know what Im saying! There more behind the seens going on then what uninformed people think. A Show is being filmed, Now stay with me...... put 2 and 32 together and money needs to come from somewhere right? Lagos State Governor, Mr. Akinwunmi Ambode, with his Kebbi State counterpart, Alhaji Abubakar Atiku Bagudu; Minister of Finance, Mrs. Kemi Adeosun; Sokoto State Governor, Rt. Hon. Aminu Tambuwal and his Zamfara State counterpart, Alhaji Abdulaziz Yari during the 2nd 2016 National Economic Council meeting, at the Council Chambers in Abuja, on Thursday, April 21, 2016. The British-Nigerian newly-crowned World IBF heavyweight champion, shared the good news on his snapchat. The mum, Yeta Odusanya, who is a social worker in North London, could not contain her joy as she stepped inside her new ride. 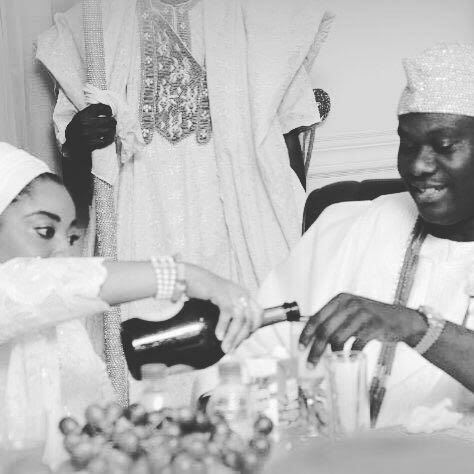 Wife of the Ooni of Ife, Wuraola Zainab Ogunwusi turned a year older April 21st. Her sister-in-law, Princess Folashade shared these photos of the monarch celebrating the occasion with his new wife. National Youths Council of Nigeria (NYCN) Ejigbo LCDA Chapter, has appointed thirteen Directors to manage the affairs of its Directorates in the Local government area. 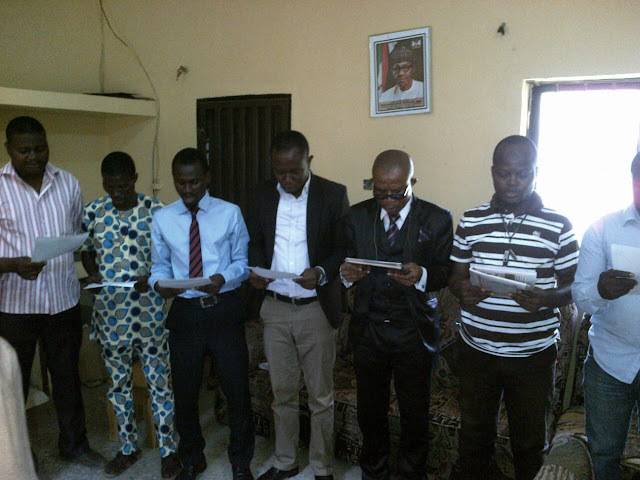 The appointees who were inaugurated at the Local government Secretariat in Ejigbo, Lagos, were full of joy as they filed out in numbers to take their oath of office.